The Cooperative Institute for Research in Environmental Sciences (CIRES) at the University of Colorado Boulder seeks applications for a tenure-track assistant professor position with a research and teaching emphasis in the field of environmental economics. Applicants should show a record of research including quantitative analyses or modeling of relevance to the environment, such as ecosystem services, climate, natural disasters, coupled human and natural systems, decision sciences, science and technology policy, or sustainability of environmental resources. The successful candidate will have commitments to undergraduate and graduate instruction as a faculty member within an appropriate academic department, and will conduct research through CIRES as a Fellow of CIRES. Minimum requirements include a PhD in a field of study such as those listed above. Applicants should submit a CV, a statement of research and teaching interests, sample research papers, and names and contact information for 3 professional references. Application materials will be accepted electronically here (posting number 11693). Application review will begin 1 December, and we will continue to accept applications until the position is filled. The 2018 competition opened October 23, 2017 and the application deadline is January 9, 2018. 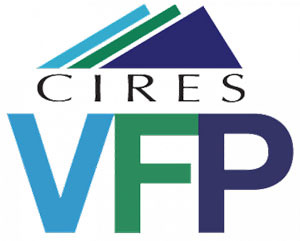 For more information or to apply see the CIRES Visiting Fellows Program.